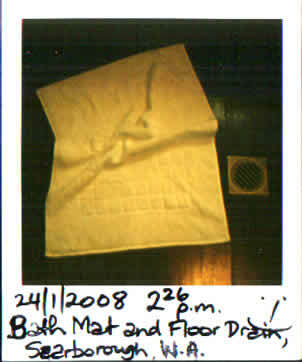 Here's your opportunity to report a sighting of the diary snap shot, "Bath Mat and Floor Drain, Scarborough, W.A. ", originally taken on Saturday, January 24, 2004 at 2:26 PM. Bath Mat and Floor Drain, Scarborough, W.A.